I am mask obsessed, and have been for years. It’s probably the skincare product that excites me the most and the one I buy most frequently (and spend all my money on!). I guess that's because you can never have too many masks - plus there is no single mask that is suited to your skin - depending on the state of your skin, time of the year, time of the month, hormones, stress etc. etc. your skin will need a different mask to suit your needs. I also know many skincare therapists or skincare companies recommend masking twice a week. Well, I pretty much do a mask every day - some days I do more than one and I really do see the results when I am fastidious about my routine. I once read that Lisa Eldridge does this too, so I’m going to follow suit (and hope my skin looks like hers one day). Obviously I miss a day here and there but in my usual good routine, it's a mask daily. Below are a few new additions and have fast-become some firm favourites. I have quite a few masks, as I’ve mentioned, and love adding to my collection. I really do encourage you to look at your skin and see what it needs. 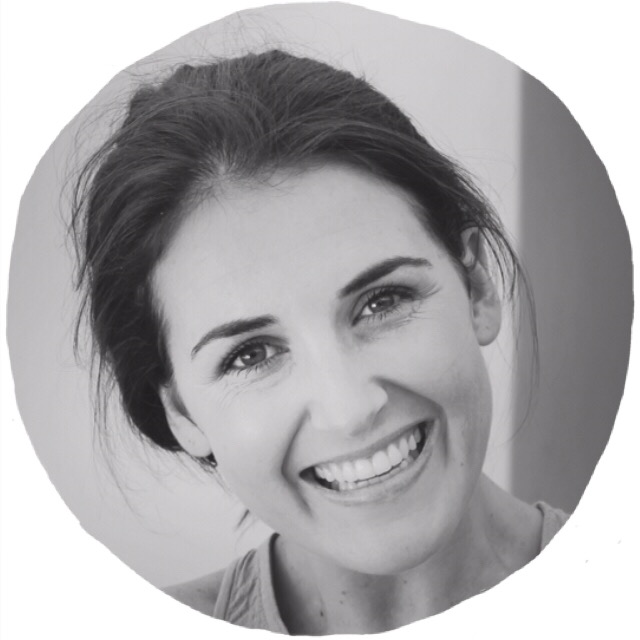 Below I’ve outlined the ‘state of your skin’ with each mask – for example if your skin is congested and dull then using that mask will help your case. Also remember you can ‘double or triple mask’ – using one mask after the next. You can also use more than one mask at the same time focusing on different areas that need different things – so perhaps a decongesting clay mask on your nose to clear up blackheads and a hydrating cream mask on your cheeks to soothe dehydrated skin - I love experimenting and encourage you to do the same. State of your skin: Dehydrated, dry and looking aged. I have been so excited about this launch from Clarins. 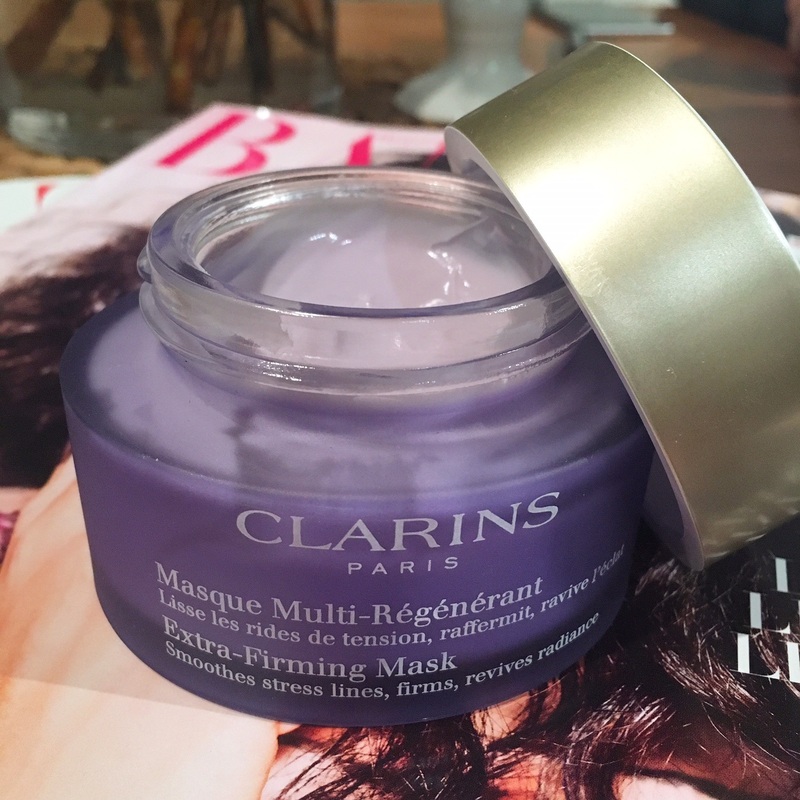 This beautiful lilac jar is filled with a super-creamy mask packed with hydrating, firming and anti-aging active ingredients. The mask contains a bunch of amino and fatty acids to combat the harmful effect of cells stretching due to the way our facial muscled naturally stretch from repeated movement. This gives the effect of smoother, more firm skin tone. The mask also contains extracts of organic green banana and lemon thyme to help reinforce collagen fibres – again, helping with the loss of firmness. This naturally helps fight off deep wrinkles and fine lines. 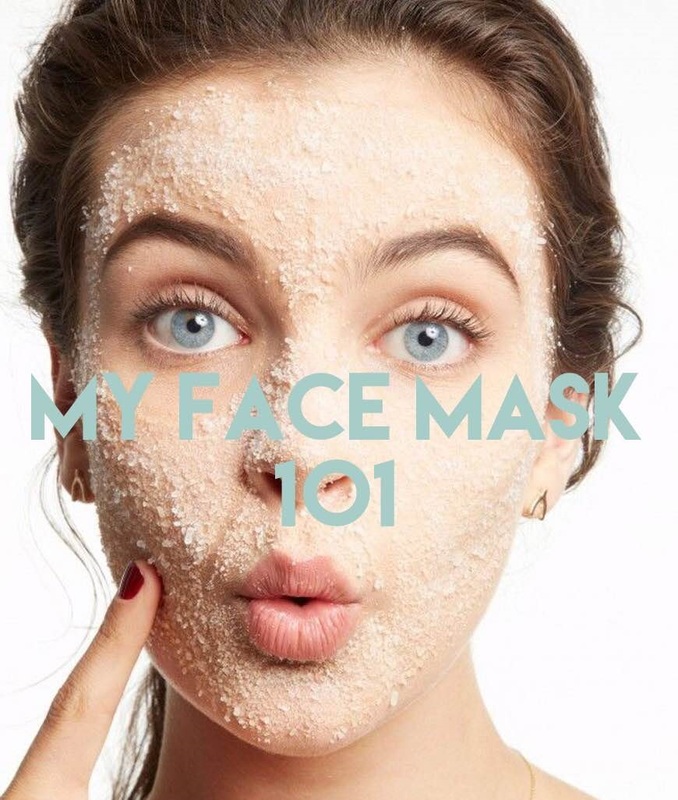 This mask is quite pricey but a little goes a long way and I have been enjoying leaving it on for hours – don’t stick to the usual 10 min as a rule, even though this would still work wonders. Hydrating masks are great to sleep in twice a week too. I have also been enjoying using a thicker layer of this below my eye area, or using this all over the face after an exfoliating treatment. It’s cooling and soothing as well as resulting in very plump, healthy looking skin. Really beautiful product! State of your skin: Dull, sallow with dry patches of skin that needs a good, deep clean. Anti-aging. If you are looking for THE most satisfying beauty product yet, look no further! 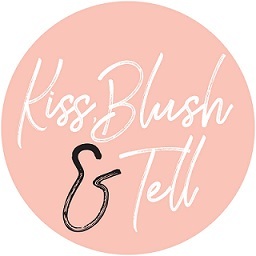 Scrub & Mask is both a mechanical and enzymatic scrub, if you are unsure what that means, then have a look at my Get Polished blog post. This mask really is about deep cleansing the skin, removing dead skin cells and reoxygenating the skin which helps with dullness and enhances radiance. The mask contains perlite microspheres which provide the mechanical exfoliating action, helping to remove dead skin cells, however, if you are sensitive you don’t have to make use of this and can just rely on the protease which provides an enzymatic action that stimulates the natural skin shedding process. The best part of this mask is that on application it almost foams up and ‘sizzles’ on the skin – the best feeling ever. This is the reoxygenating taking place and it is oh-so-satisfying. This is oxygen being transported directly to the cells helping with dull cells that need a kick-start. 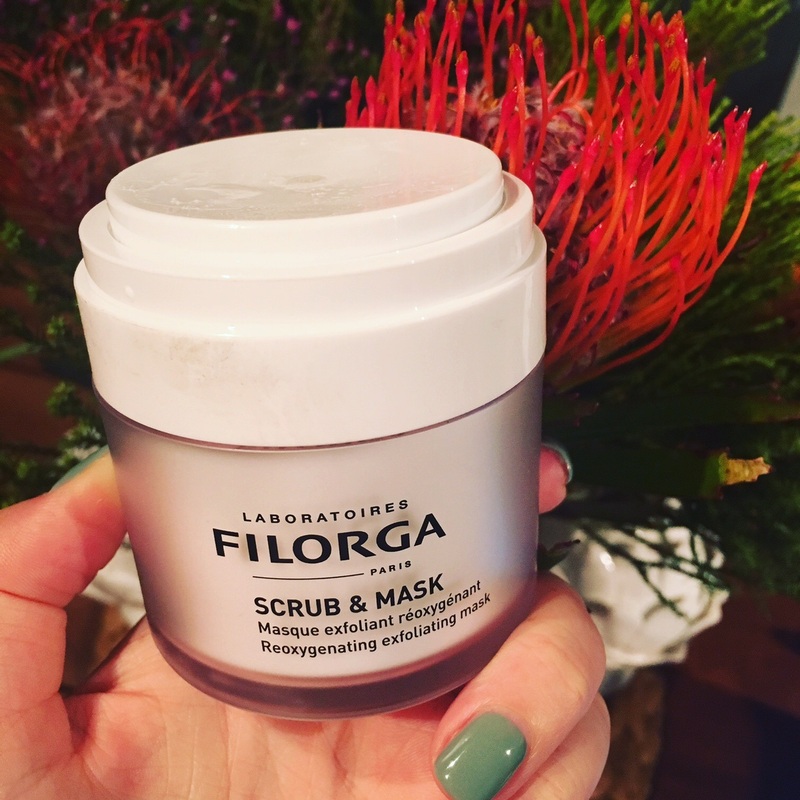 Lastly, the mask also contains Filorga’s patented NCTF + HA chronospheres – this contains vitamins, minerals and amino acids along with hyaluronic acid and is responsible for stimulating cellular regeneration. I have found my skin looks super polished after using this and really even and clear. It’s not over-stimulating at all, yet gets to work and leaves your skin perfectly smooth and calm. I guess some of you may find the foaming and tingling action of the mask weird, but I love it and find it very satisfying that I can feel the product getting to work. State of the skin: Dull, sallow and lacking in vibrancy. 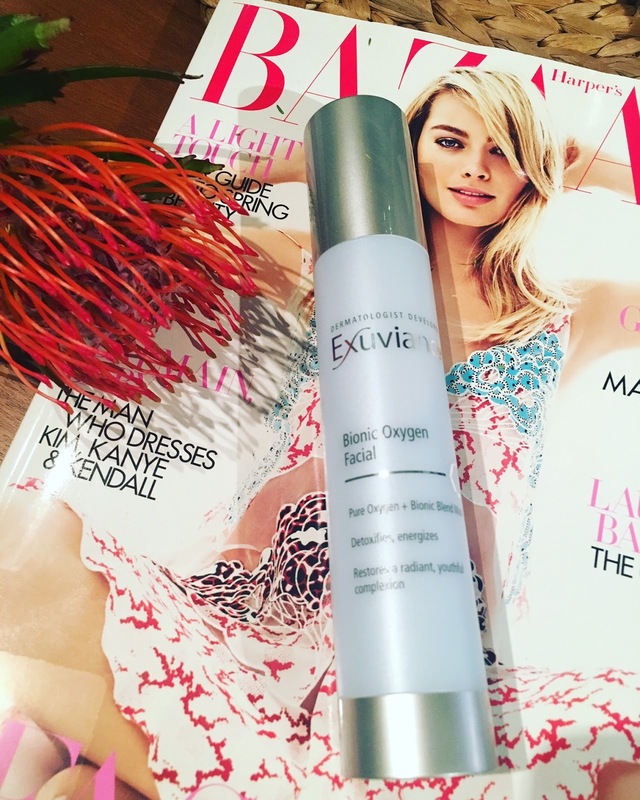 Exuviance are fast becoming one of my favourite skincare brands for real results. This product is no different. It’s similar in action to the aforementioned Filorga mask in the sense that it has the bubbling/oxygenating action on the skin. This sensation is so weird and can take getting used to but I love feeling something getting to work on my skin. This mask is packed with hydrating ingredients and is your ultimate pick-me-up treatment in the sense that it energises the skin and is super invigorating resulting in really radiant, brightening results. It's also said to be a great mask to use post laser or peels as not stripping. I have been using this mask quite a bit now as the results are really notable! One of the major results I have also seen is that not only is my skin brighter, rejuvenated and more glowey, but it’s also more even in skin tone. Often my skin is quite stimulated after a mask, whereas this product really assists in calming and soothing my skin while packing in the moisture. Now, I don’t often get break outs but, depending on the time of the month, my skin can look a tad congested on the jaw area and nose. 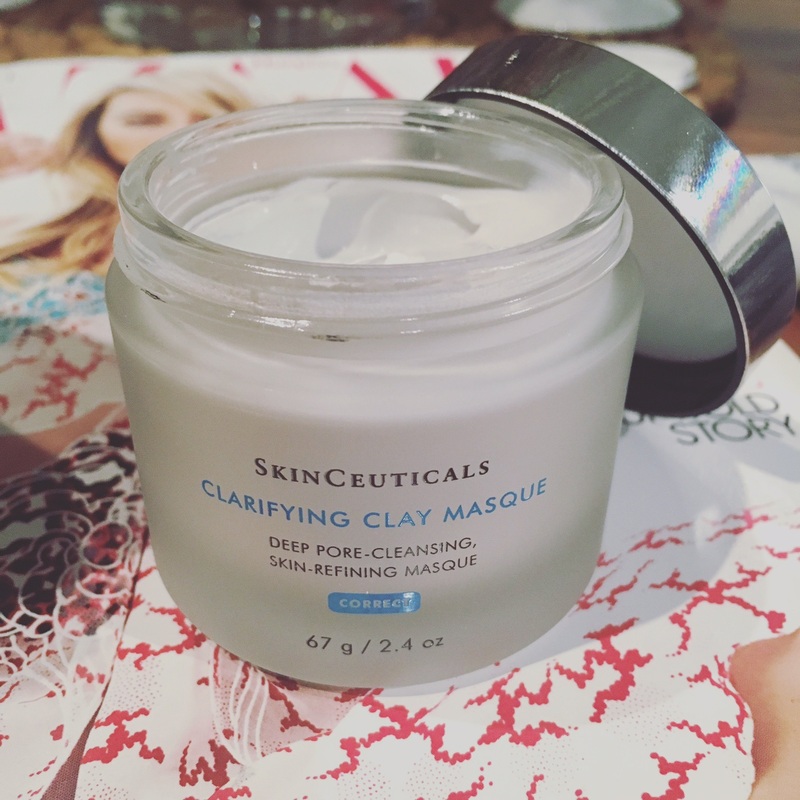 This mask really appealed to me as it is a non-drying clay mask, meaning it won’t dry down to that tight, stiff clay that lots of kaolin-based masks do. This stuff is packed with a blend of hydroxyl acids, malic acids, lactic, tartaric, ctric and glycolic that work to gently exfoliate the skin as well as the kaolin and bentonite clays which absorb excess oil and deeply purify the skin. It also contains soothing ingredients like aloe and chamomile so helps calm any inflammation or redness. I used this whilst my skin was super-hormonal and it literally stopped my blind pimples in their foot-steps. I haven’t ever really had a product dry out and zap pimples as fast as this mask did. Ah, I love it when a product shows such remarkable and visible results. I have been following this mask with my Skinceuticals Retexturing Activator (read full review here) and my skin is SO happy! Buy online here. State of the skin: congested, hormonal with the odd break out. 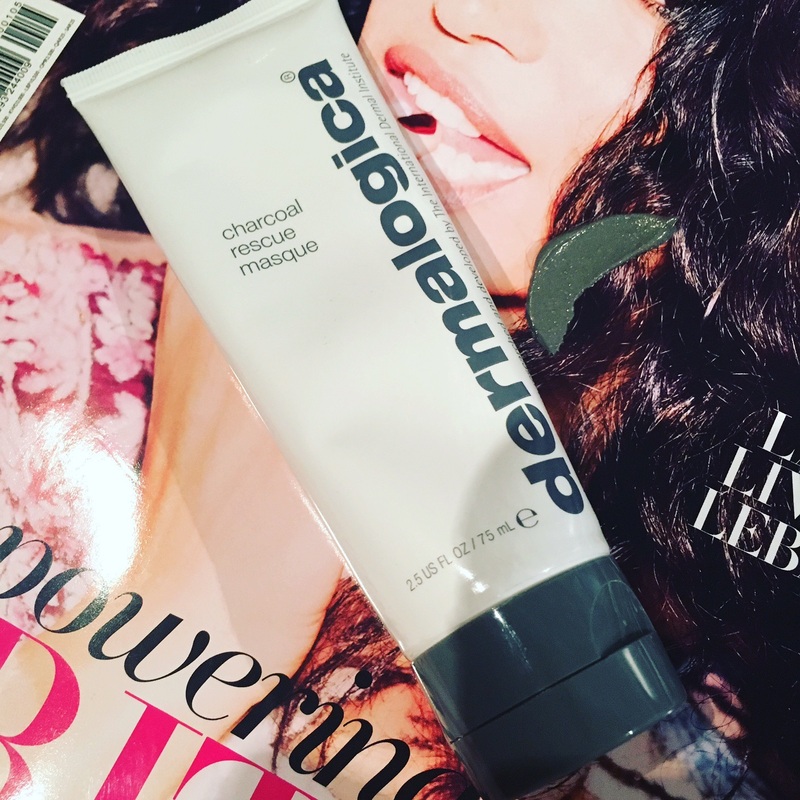 This isn’t that new, but is the newest launch from Dermalogica mask-wise – it launched earlier this year. I have shared updates on my Snapchat (toritatham) and Instagram on this product so wanted to give you the proper review on this mask as I know so many of my readers are die-hard Dermalogica users and, I have to say, I really am one too. There is something about how clean these products make me feel that will never get old for me. Some of my favourites products from the brand include their Multivitamin Power Mask so I was pretty excited by the idea of a Charcoal Mask. I had high expectation though, as one of my favourite Charcoal masks is the Origins one as well as the Chantecaille Detox mask (which nothing will ever beat, but it costs R2k so we will just leave that there). This Charcoal mask is your go-to mask when your skin just needs that extra deep cleanse. It dries down to a tight layer on the skin which I tend to leave on for a good 30 minutes (while I relax after my bath/shower when pores are open). On removal your skin really does look extremely well cleansed – pores look tighter on the nose area and if you do happen to have had a break out (like I had on the few occasions I’ve tested this) then you will be happy to know that the recovery time is definitely improved with this mask – it dries them out and brings anything to the surface that may be simmering. I must point out that this needs to be removed gently with warm water as even my super-non-sensitive skin was quite red after using this – nothing bad but just be gentle on removal.